Any time I bump into a chef of a restaurant at the bar, I love to ask them where they like to eat. I mean after all, they should know better than me, right? I may be a foodie, I may even catch the occasional food-based reality series on the television, but I don’t run in the same circles as they do. It is a tight-knit, almost incestuous, community. Chefs talk to providers and vendors, who talk to other chefs, and the good and the bad stories are told. Employees from one restaurant come to the next carrying their apron, their knowledge and of course, their baggage. Everyone has a horror story from a previous employer that keeps someone else from eating there, let alone working there. So I hold a chef’s recommendation pretty high up there. My editor, Tim Wood couldn’t agree more. We agreed a kind of “game of telephone” of chef’s recommendations would be interesting, super educational and a ton of fun. Because I currently reside in the Great Foodie Town of the South: Atlanta, I thought I would go right to the top to get our first recommendation from James Beard Award Winning Chef Hugh Acheson. Chef Acheson is known for Athens, Georgia restaurants Five & Ten, The National, Cinco y Diez and Atlanta restaurant Empire State South. His latest endeavor is The Florence, in Savannah, GA. The Florence is an Italian concept that combines Southern ingredients with Italian heritage. Look for Neapolitan style pizzas, house made pastas as well as vegetable, fish, and meat options that are all locally sourced. 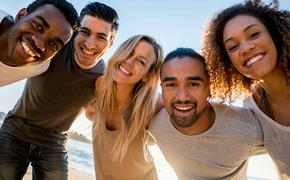 Tom Bastek: If you had a free plane ticket to anywhere in the U.S., which restaurant would you go to and why? 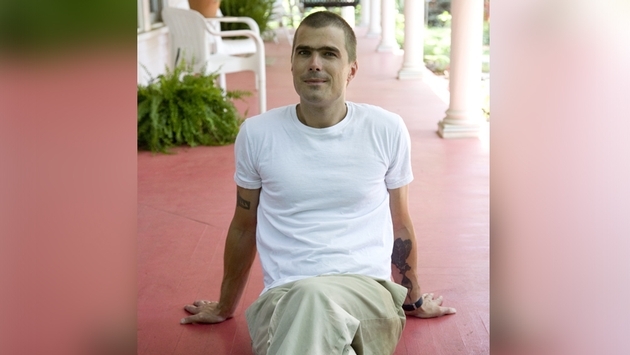 Hugh Acheson: Next in Chicago. Dave Beran and Grant Achatz are creating new restaurants every quarter and their interpretations of them amazing. You know how some people can play Beethoven, but then you hear Glenn Gould play Beethoven? That's what it's like to eat at a meal at Next. It has nuance and interpretative intelligence to everything you experience. TB: What dish would you have? HA: Well that depends on the menu! I went for the Kaiseki dinner and I would have every one again, happily. The sashimi was divine and the matsutake chawanmushi was silken and full of flavor. Particularly cool was the non-alcoholic pairings option which was really quite nice. Felt good to finish the meal just drunk on the food. So here we go, off to Chicago to talk to the guys at Next. What Chef and Owner Grant Achatz is doing at Next is pretty much unheard of in the culinary world. Everyone has seen seasonal menus that change with the weather, utilizing ingredients that are specific to that region during that time of the year. Chef Grant and his Co-Chef Dave Beran are essentially doing the impossible: Changing the entire concept of the restaurant every three months. They have done everything from a Chicago Steak House to Vegan, and most recently from May to August, Chinese: Modern. 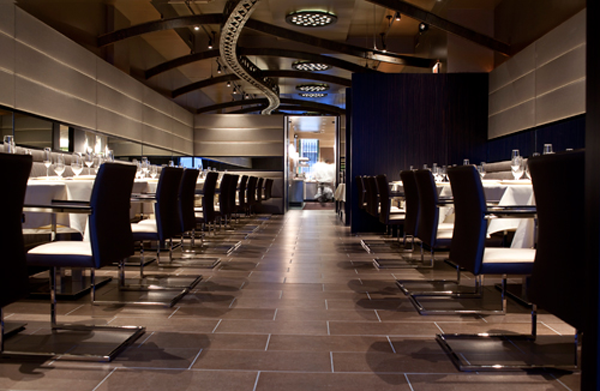 PHOTO: The interior of Next, Grant Achatz's latest creation. This week, they are opening their new quarterly concept and going old school with Trio: January 20th, 2004. This is really a tribute to where Chef Grant had his true first cheffing gig, Trio in Evanston, IL. This menu is going to be just like back in the day, 16 tasting courses with wine pairings available. This concept of many tasting courses still holds relevance today with chefs like Jose Andres doing a similar style in his “e” restaurant in Las Vegas among others. 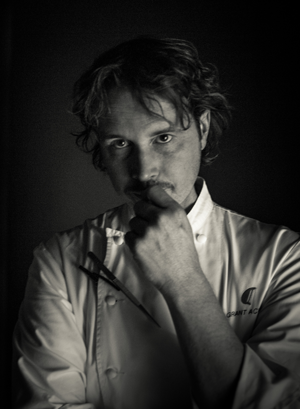 Chef Achatz is also redefining reservations in the culinary sector. They say that chefs are becoming rock stars today in the day of cable TV, online, etc. and Achatz is proving it. He has put together a ticketing system for reservations in his restaurant. You pay in advance, and your seat is saved. You don’t show and it is all on you. Just like going to a concert and your wife gets sick and you can’t go, you lose out on your money. This is also great for people who want to get the same experience, but are willing to go on an off night. Grant has flexible pricing so the prices would be less on a Tuesday night than on a Saturday night. Tom Bastek: So tell me about the ticketing thing. Grant Achatz: I think it is the next big thing. You know everyone says that things come and stay for a while, whether it was after 9-11 when everyone wanted comfort food, or everyone wanted small plates for a while. I think that ticketing is the next wave. It is more profitable for the restaurant, it’s better for the staff planning and basically it just makes more financial sense. 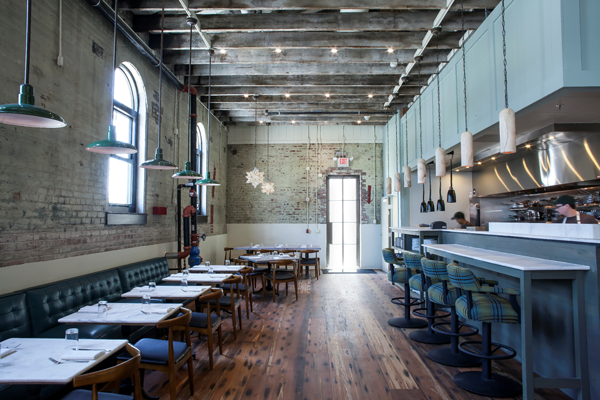 TB: So, Chef Hugh Acheson told me that given a plane ticket and go anywhere in the country for a meal, and he would come to see you here at Next. How about that? GA: Hugh and I have known each other for a while, and he has been up here to see me a couple of times. I haven’t yet had the chance to get down there. We see each other occasionally, most recently at the Food and Wine offices in New York. I have the utmost respect for him and what he is doing. I think it is very flattering that we were chosen. TB: Why do you think he chose you? GA: I think he really understands what it takes to have a shape-shifting restaurant. I think he likes that you can come to Chicago and get off the plane and its vegan one day and then six months later you come back to visit and its modern Chinese. TB: So, you know the next question I am going to ask. If you had a plane ticket and could go anywhere in the United States for a meal, where would you go and why? GA: And I can’t pick any of Hugh’s restaurants? TB: I am going to take you back to your childhood here: No Backsies. GA: [Laughs] Right. This is a hard one. I guess I would go to 11 Madison Park in New York City. Will Guidara and Daniel Humm are the epitome of young, energetic, special restaurateurs. We are friends, and what those guys are doing there is awesome. TB: What would you get to eat there? GA: The last time I was there they had this incredible Carrot Tartare that they prepared tableside. I know that they have taken that off the menu and are currently doing a tableside Waldorf Salad. I am sure that there are other plates I would want to try, but I would definitely want to see their take on that classic. So on the next leg of our journey, we will travel to New York City and see what Chefs Will and Daniel have coming up and of course, where they will send us to next. Speaking of Next, you had better buy your tickets now, because I hear Trio is going to be slam-packed for a while.